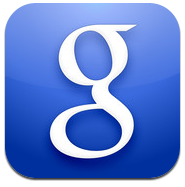 Google has given its iOS app a new search feature that squares it directly at Apple's Siri. Google even calls it the "most advanced voice search" on iOS. Google gives a number of examples of how the service can be used. - "What does Yankee Stadium look like?" Google will show you hundreds of pictures instantly. - "Play me a trailer of the upcoming James Bond movie." The trailer starts playing immediately right within Google Search. - "When does daylight savings time end?" The answer will appear above the search results, so you can set your clock without having to click on a link. - "Who’s in the cast of The Office?" See a complete cast list and find out who made you crack up last night. The service feels notably faster than Siri, recognizing words as they are spoken rather than all at once in the end. It even works on devices that aren't supported by Siri. One commenter on Hacker News confirms that the voice search works on his iPhone 4. As a heavy Siri user, I've been using Google's voice search all day and I'm pretty impressed. I've always defended Siri but this blows it out of the water for simpler requests (not maps/reminder/alarm/etc related). This will make many iOS users happy who don't have SIRI on their iPhone such as myself! And visa versa, in what world is it not a competitor though? Siri is not just a search tool. How many of these things can Google Search do? Take that Forstall for not giving iphone 4 Siri! Holy **** this app works beautifully, recognition is far better than Siri. Not that I'll be using it more than I do Siri, but it's cool knowing this is going somewhere. I find it extremely amusing to see that Google produces higher quality Apps for iOS than it does for its own Android platform. That's only because Google doesn't have access to the phone's settings, as Siri does. In every way, it's a better, faster voice interpreter. Google Search is phenomenal, I have to say that I'm worried about this little competition Apple has gotten itself into...they should allow Google to do what they do best (information and search), and Apple should focus on the things they do best (simple, beautiful software and amazing hardware design). Apple is simply not going to win when it comes to information/maps and search. Not a chance.